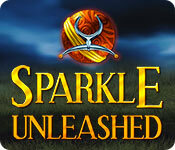 Sparkle Unleashed is rated 4.0 out of 5 by 21. Rated 5 out of 5 by JEANNA617 from Fun marble shooting game Great graphics, extremely fun game! I would love to see more like this. Rated 5 out of 5 by Annas44 from Superb game! Highly recommended. This is an an amazing game that I cannot recommend highly enough. I have played this game over and over and never tire of the challenges at each level. This is definitely a keeper. Rated 5 out of 5 by ecblisa from Oldie but goodie I'm reviewing this as the current deal of the day. I'm not usually so fond of marble poppers since my hands got too arthritic for fast mouse action. What some reviewers call "slow as molasses" I call doable for the older and slower among us. It's a fun game, easy to learn and with nice power-ups. At the daily deal, it is a good buy even for us codgers who won't be able to do the more advanced levels. Thanks for revisiting this game! Rated 5 out of 5 by a325zx from Great Game! I am totally addicted to this super fun game! It is tricky and challenging. I recommend this game including the wonderful graphics! Rated 5 out of 5 by KimK27 from "Sparkle" does it again! My first reaction was, "Hmm, maybe not." The first few levels seemed slow and really kind of boring. But I kept playing until I got to about Level 17 or so, and it's getting better. So far, it's not as difficult as Sparkle 1. I think Sparkle 2 might be my favorite; I'll reserve judgment until I get to the end of this game. Even so, it's still very fun with interesting new challenges. There seem to be more double track levels at an earlier stage. The music is more upbeat, perhaps less mysterious than the first two games. The backgrounds are still lovely, with soft colors that add to the visual appeal but don't distract. Give this one a try if you're a Sparkle fan, and don't make too hasty a decision if it seems not so great at first. I'm going to buy this one even though I haven't yet finished my free hour, on the basis of the first two being so much fun and the (slowly) increasing level of difficulty of this installment. Rated 5 out of 5 by veyauxbrain from The whole game "sparkles"! What a delightful surprise to find another addition to the Sparkle line of marble popping games. The normal difficulty level is the training ground...I'm almost halfway through the hard difficulty level...I cannot imagine what the Nightmare level will have to offer. Completion of one difficulty opens the next, so 'peeking' isn't possible that I have found. The largest motivating factor, for this player, is the music - the composer, Jonathan Geer, has again created the perfect score to drive the game forward with a relentless agitation - almost sounding victorious when a level is completed, yet empty and desolate should failure be the result. 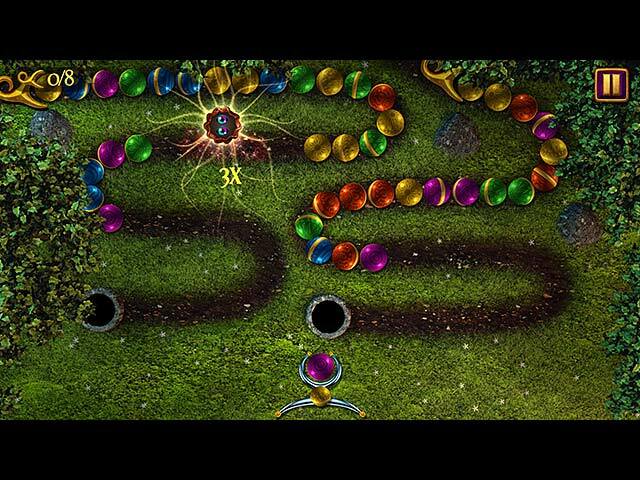 Graphics are crisp and sharp... the larger marbles from Sparkle 2 are back, making the game relatively easy on the eyes ( after 4-5 hours, though, I finally felt some eye strain) The normal level Quest is a pleasant and fun way to get familiar with the game...the challenge increases through the 107 levels of play. In working the hard difficulty, it can be just that - WORK...level 25 comes to mind...many repeats, but it DOES play though. For a real challenge at any point, try the survival mode...wow! I have managed 3 stars and a couple of 4 star levels, that's it...so many, many more hours ahead of me to get the 5 star achievement. As with any game, give it a try...it's enough different from the previous offerings to know that you are on a different journey. Enjoy your quest; I'm loving mine. Rated 5 out of 5 by pennmom36 from FANTASTIC HD GRAPHICS SPARKLE HAS BEEN UNLEASHED! 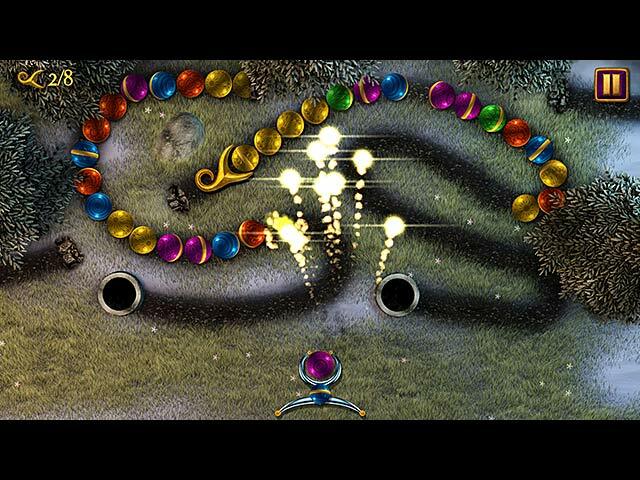 The original Sparkle was already a wonderful marble popping game, but this Sparkle is definitely loose and unleashed with superb high quality graphics and a fast paced moving chain of colorful balls/marbles! This game also comes with a setting to assist with color blindness, having two son's that are color blind I know how frustrating games can be when you can't tell the difference between blue/green and red/orange, so thank you devs, much appreciated. The goal of this game it to match at least three marbles of the same color, and if possible strategically place the marbles so that when you match a set in the middle the marbles on the left and right will then come together and match as well. That sounds confusing so to clarify, if there are two gold marbles in between a red marble on the left and a red marble on the right try to shoot the next two reds, 1 on the left and one on the right so that when you shoot a gold marble in the middle the 4 reds will join together for a chain reaction. Chain reactions give you a bonus icon which will remain on the board temporarily and you need to shoot the icon before it disappears. A new bonus icon will be awarded each time you level up which is usually every 3-4 games. You earn a key to unlock these bonuses such as Frost, which freezes the paths and slows the marbles down to a snails pace for a few seconds. There is a Fireball icon which is used on the next shot and destroys a small group of marbles and Sparks which start at 4 sparks that shoot out and when you get the next power up it gets stronger with 9 sparks and so forth. 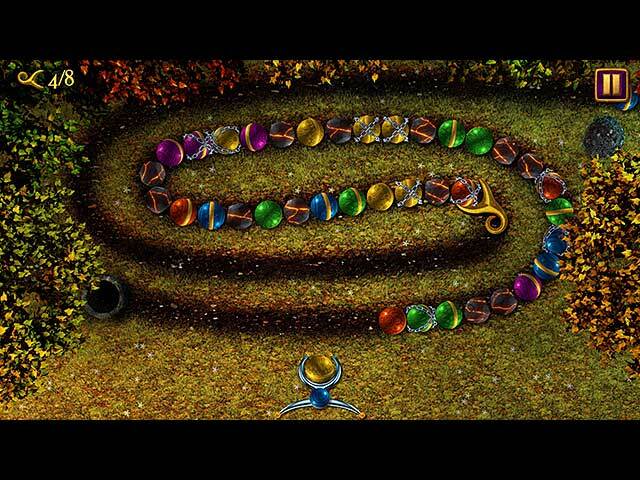 Each new level throws out multiple marble chains which makes it more difficult to shoot because as the chains wind around the paths they block each other and sometimes the ball hits the wrong chain thus making the chain longer. If the marble chain makes it to the hole at the end it's game over, lights out. I have a game similar to this game, Tumblebugs, on my ipad and play that game on long road trips so I can tell you without a doubt this type of game is 100% addicting. I really can't get over how crisp and colorful the graphics are on this game, you really do need to check it out, enjoy! Rated 5 out of 5 by phatkhat from What a great surprise for today! While I think it's waaaaay too good to be a mere soft release, I'm just happy to see a new marble popper, since they are few and far between! What a marble popper it is, too! I think this is definitely the best of the Sparkle series, and here's why... The shooter is not a rotating (Zuma style) one, but a sliding one, ala Luxor! This I personally much prefer, though it is definitely a personal preference. In addition, there are new powerups, and you get to upgrade them to increasingly powerful levels. I am not going to rate the storyline, as it is weak, but so what? These games are not story-driven. But the narrator from Sparkle 2 is back, with the "Shakespearean" intonation of the story, which is charming. The music is Sparkle, but is fine at low volume. Graphics are the most colorful yet, and very sharp. The game features braziers to light this time, similar to the checkpoints in the other games. The levels grow harder as you go, of course, and there are survival levels to play as a side quest. I have to admit, I never finished Sparkle. Like Zuma, the last levels were simply too fast and I couldn't do them, especially with the rotating shooter. I loved Sparkle 2, which was challenging but doable. This one is much the same. I'm looking forward to many hours of pleasurable play here, because it is absolutely a buy! Rated 5 out of 5 by Plientje from another fantastic sparkle game!! this is the third release in the sparkle-series, and it's fantastic!! I think it's the best one yet. Loads of different power-ups, chained balls, achievements. I absolutely love it, try it, I'm sure you'll have a lot of fun too!